The first poster listing the so-far confirmed acts for this year's return has been released on social media. Plastic bottles won't be available to buy and will not be provided in dressing rooms, catering, production and backstage areas. Kylie Minogue has been announced as the latest singer to perform at Glastonbury. She will play the coveted tea-time slot on Sunday at the Festival - which has previously been filled by Dame Shirley Bassey, Dolly Parton and Lionel Richie. The pop was forced to pull out of headlining the festival in 2004 to undergo treatment for breast cancer. Kylie joins Stormzy - who will headline the Friday night - as the second act to be confirmed for the Festival. The festival team are taking their traditional year off in 2018. Credit: Glastonbury Festival Official. 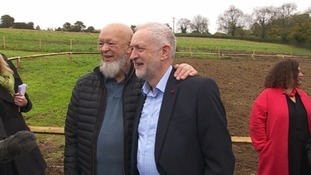 The next Glastonbury Festival will be taking place from the 26th to the 30th of June 2019, festival organisers have confirmed. The Festival of Contemporary Performing Arts will be held at the Worthy Farm, Pilton in Somerset. The team confirmed in 2016 that they would be taking a fallow year next year, meaning the festival would not be happening in 2018, "in order to give the farm, the village and the Festival team the traditional year off". A woman who was sexually assaulted in the run up to Glastonbury has thanked organisers for their sensitivity and kindness which meant she was able to attend - and enjoy - the festival. The woman had asked for a refund but the team at Worthy Farm went out of their way to make sure she could attend the festival and was safe. She has written a powerful open letter to say thank you, describing her whole experience. A police officer at Glastonbury Festival has returned a person's abandoned ticket so they can keep it as a "souvenir". They posted the ticket to Anna Colbourn after finding it discarded near the Pyramid Stage. They wrote she hoped she had "an awesome festival." We found this at the back of the Pyramid Field at Glasto last weekend. Bit useless now but thought you'd like it back as a souvenir. Hope you had an awesome festival - we did face paint, fairy wings etc.